October 10, 2018, 1:35 p.m.
Gene editing is a form of technology by which scientists can add, remove, or alter a living organism&apos;s DNA. The technology has the potential to radically reduce, if not eliminate, the risk of genetically inherited conditions such as cystic fibrosis or Huntington’s disease. A form of gene editing called CRISPR is already being used by scientists in China to alter disease-causing genetic mutations in human embryos. However, some are concerned about the ethical implications of other potential uses of gene editing – including changing DNA to alter a person’s appearance or personality. New YouGov research explores the extent to which the public supports gene editing, and whether they would consider using the technology to alter the genetic make-up of any future offspring. The British public largely support using gene editing to prevent people from passing on hereditary genetic disorders. Three quarters (76%) of the adult population think it should be allowed, with just one in eleven (9%) saying it should be not be allowed. One in six (14%) don’t know. Older generations are slightly more likely than younger people to support gene editing to reduce the risk of disease, with eight in ten (80 ­- 82%) of those aged 50 and above in favour compared to 74% among 18 to 24 year olds. Brits are much more reluctant to support gene editing to boost either the brains or beauty of their future children. 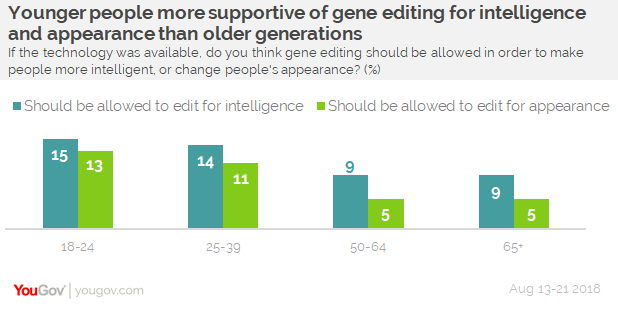 Seven in ten (71%) oppose editing genes for intelligence, and three quarters (76%) are against doing it for appearance. 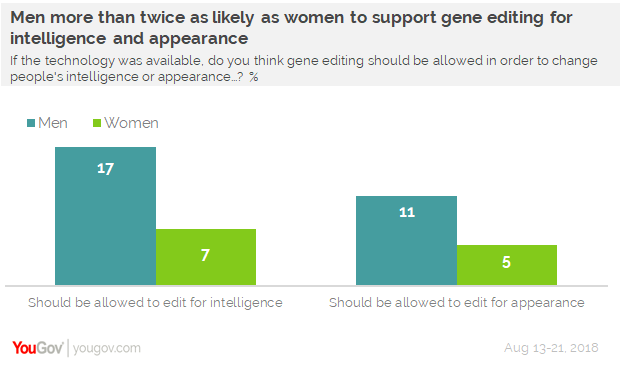 However, one in eight (12%) people are in favour of allowing gene editing for intelligence and one in twelve (8%) for appearance. Men are significantly more likely to support the process in both instances, with one in six (17%) thinking it should be allowed to change genes affecting intelligence (compared to 7% of women), and one in nine (11%) support it to alter appearances (compared to 5% of women). Younger people are also more likely than older generations to support gene editing for both intelligence and appearance. Around one in six (15%) 18 to 24 year olds support editing genes affecting intelligence and one in eight (13% for appearance. By contrast, just one in eleven (9%) of those aged 65 and above support changing genes for intelligence, and one in twenty (5%) for appearance. Though 8% of the population – equivalent to approximately four million Brits – support gene editing to alter appearance, among this group opinions differ on what aspects of appearance it should be permissible to alter. The only characteristics which at least half of this group agree are editing are baldness (63%) and build (54%). 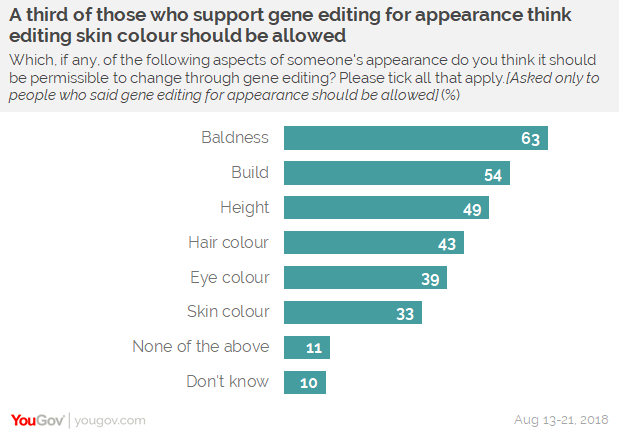 Just under half think it should be permissible to edit genes for height (49%), while slightly fewer favour altering DNA to select hair colour (43%) and eye colour (39%). A third (33%) of those who favour editing genes to alter appearance say it should be permissible to edit genes for skin colour. 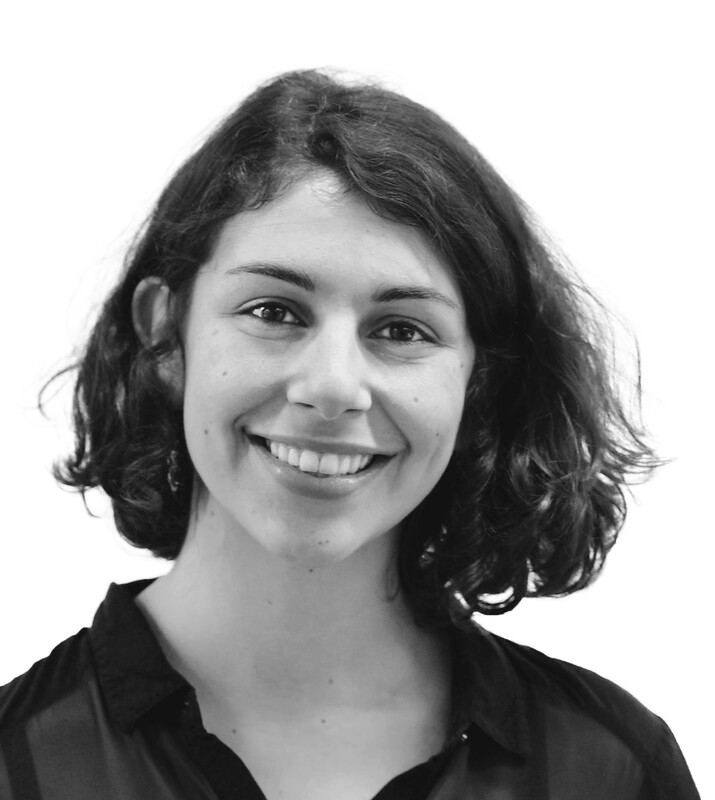 Would you edit your baby’s genes? We also asked people who were thinking about having children how they would feel about gene editing their own offspring, were the technology available. 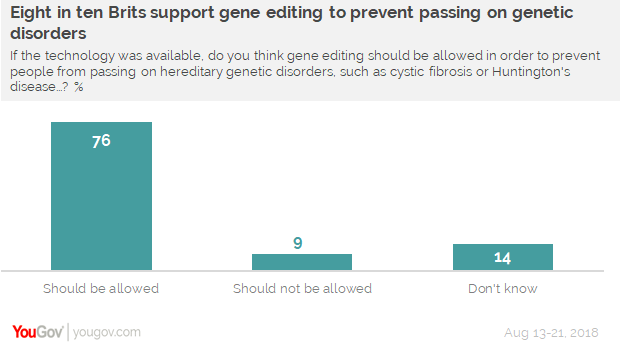 The vast majority (83%) would consider editing if they were carrying genes for a disorder that could be passed on to their offspring (just one in nine (11%) wouldn’t consider it). 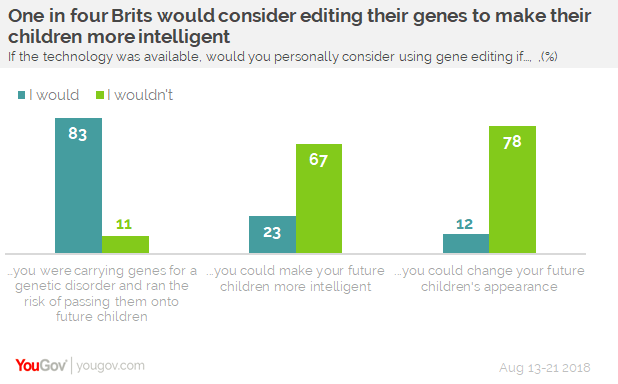 Despite the fact that just one in ten Brits think gene editing to change someone’s intelligence should be allowed, around a quarter (23%) would consider it to change someone’s intelligence, rising to three in ten (30%) prospective fathers. However, changing genes to alter their own child’s appearance is a less popular idea, with 12% of people thinking about having kids saying they would consider it. Again, men are more likely than women to consider it for their children (15% of men, vs 8% of women). Approaching half of Brits (47%) believe that gene editing for particular traits is similar to choosing a sperm or egg donor based on ethnicity, build, intelligence etc., while one in three think it is different. One in five (21%) don’t know.